Coman & Co provides a fixed fee service, which is agreed in advance. The scope of work is established in a free, initial consultation. A written estimate is agreed to prior to becoming a client. Our fees are based on time spent and level of skill used. We provide a service which is tailored to the needs of our client and we can accommodate a range of tax work. Nonetheless, we aim to be transparent and fair in our billing. Therefore, we have published our fees the price list below. Fees are subject to VAT. Invoices are issued in arrears after completion of the accounts or Tax Return assignment. 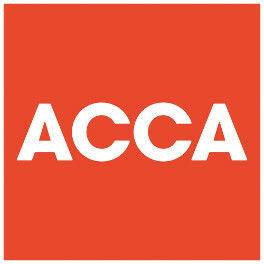 Acting as your agent for the purpose of communicating with HMRC. Providing updates in the tax regulation that are relevant to you. Sending reminders about documents that are due, what tax to pay and when. Dealing with routine HMRC correspondence on your behalf. Responding to brief email queries regarding UK taxation and how it can be reduced. Preparing and filing your Tax return for you. One free of charge adjustment to your Tax Return once it has been prepared. Subsequent adjustments are subject to a fee of £85. Fees are invoiced once yearly after the Tax Return has been prepared. We provide a facility to manage all accouting and tax compliance requirements of a limited company contractor. However, an itemisation of fee also follows to allow for a more cost effective alternative. Note that businesses with a turnover below the VAT registration threshold can use the cash basis for tax purposes. Report of PAYE due and date payable. Coman & Co. do not offer a bookkeeping service, but keep a list of local bookkeepers and, on request, can refer clients to an appropriate provider. Rates typically range from £20 to £35 per hour. 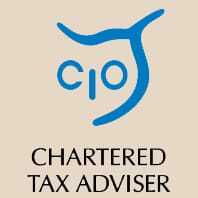 Raphael Coman is a Chartered Accountant and Chartered Tax Adviser with a charge out rate for personal tax advisory work of £150 per hour. This includes assistance with an HMRC tax enquiry. Janet, my annual fee would range between about £485 and £1,100 plus VAT depending on how much you wanted done. The service is flexible so that add or remove elements of the service depending on what you preferred to carry out without my assistance. Hi, I am about to start up a small consultancy limited company as I am going to act as an interim manager for 7 months on a 'consultancy' basis. I shall probably earn £100,000 for those 7 months. I would like a quote from you to handle my filings (VAT returns and year end accounts). I shall set the year end as 31.7.18. I shall not be paying myself a wage (I intend to take out £5,000 in dividends only per year for the next few years). Please could you give me an estimate of cost? Very grateful. Janet Ensby.